I never imagined my kids would be athletes. Yet, here I am sitting on the sidelines cheering my hardest for my soccer player. She has been playing soccer since she was three and she loves absolutely every second of it. It has made such a big impact on our family, that our second daughter starts soccer this fall too and she can hardly wait. I used to watch my mom make protein shakes for my football playing brother growing up and he would literally hold his nose when he drank them to help them go down easier. My daughter really needs a pick me up after practice or a game, but neither one of us was interested in making a drink that didn’t taste good. When I was discovered ProYo High Protein Low Fat Ice Creams, it was a perfect fit. High protein, great taste and no guilt. 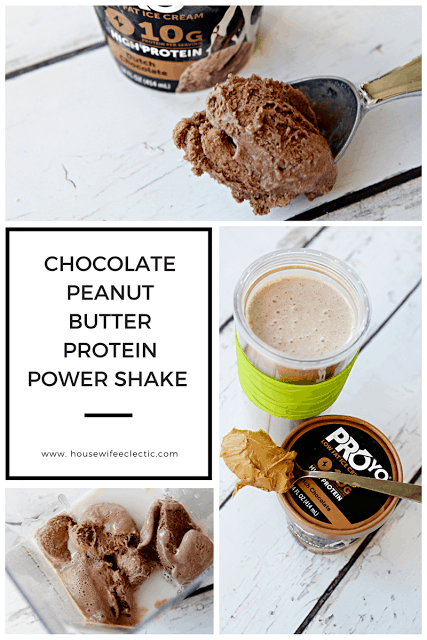 I have started making these Chocolate Peanut Butter Power Shakes after practice and they are just what they need to get her energy back up. 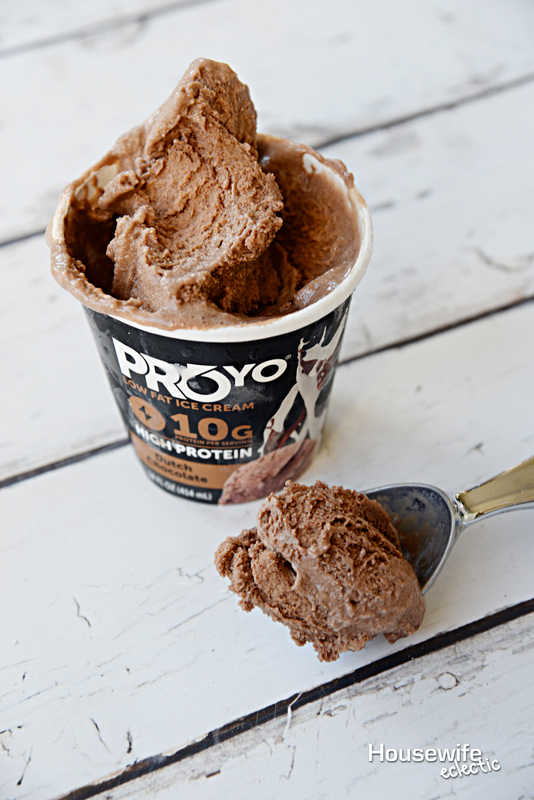 ProYo High Protein Low Fat Ice Creams are available nationwide at Kroger and Kroger Banner stores. I picked ours up at Smith’s, Use this store locator to find one near you. For this recipe we use the Dutch Chocolate flavor, but my daughter also loves a berry high protein smoothie bad with the Vanilla Bean flavor. Add the almond milk, peanut butter and Dutch Chocolate to your mixer. I am making a double batch in this photo. 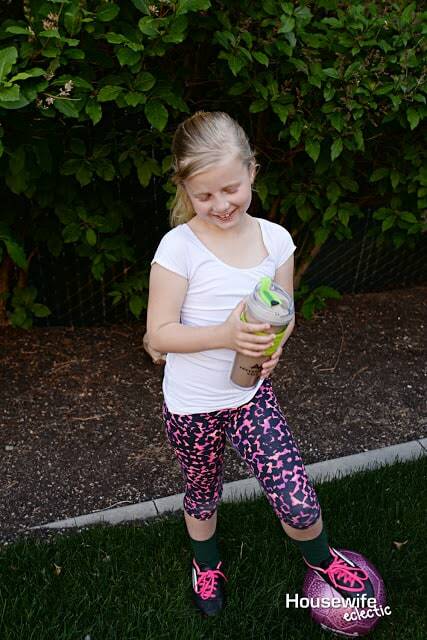 My younger daughter always wants a protein shake too! Cut up the banana into slices and then add the ice on top. Blend on a smoothie setting or on high for about 40 seconds. Serve in a glass or a sports mug for on the go after practice. 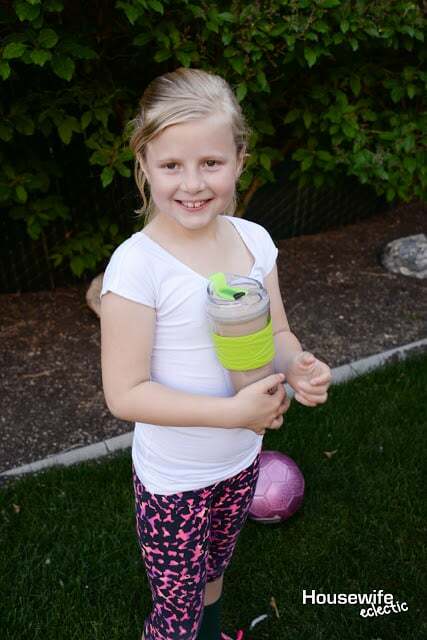 I tend to make a shake before I pick up my daughter from soccer and bring it with me for her to drink on the way home. 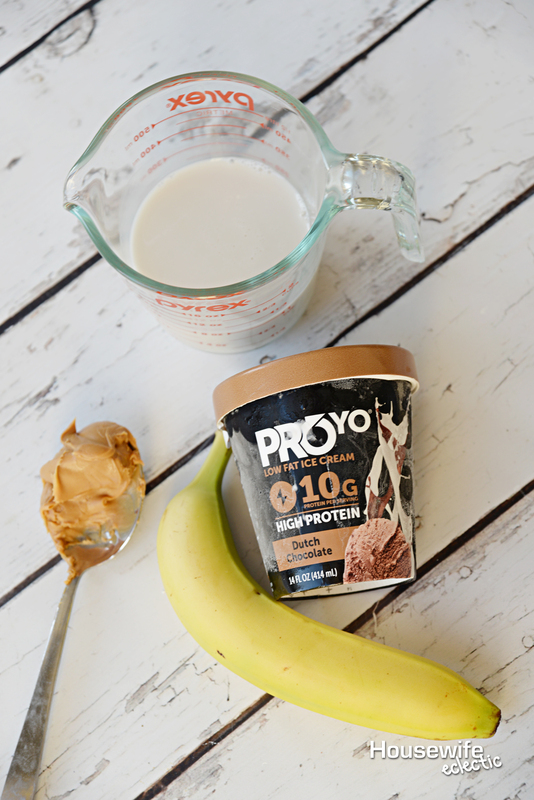 The reason we have traded our traditional protein shake sources for ProYo High Protein Low Fat Ice Creams, is more than just the high protein with 10g of protein in every serving. This ice cream is also low in fat, has a great taste, is a good source of fiber, soy free, gluten free and is made without GMOs or artificial ingredients. It is a treat I feel good about giving my kids, whether it be after practice or just after dinner. 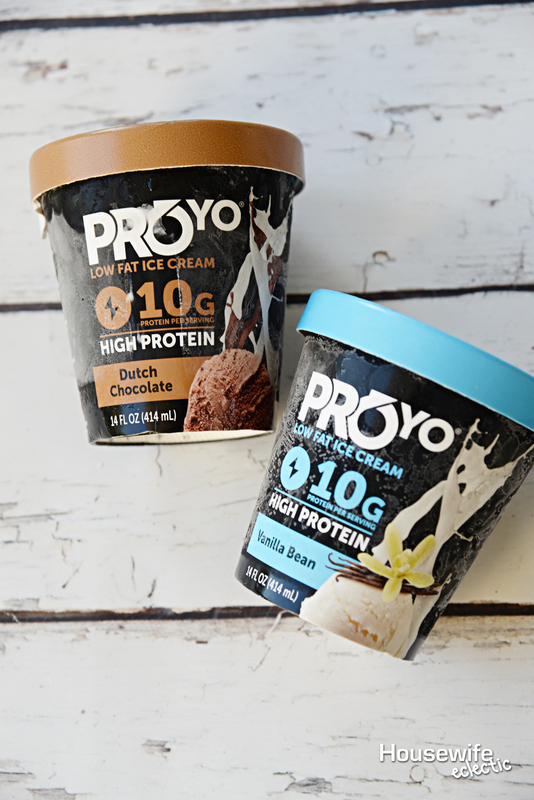 Right now you can take advantage of this online coupon Buy 1 ProYo High Protein Low Fat Ice Cream and Get 1 Free now through 7/7, while supplies last. You can use the coupon to get your choice of their delicious flavors including Dutch Chocolate, Vanilla Bean, Mint Chip, Coconut, Mocha, Dark Chocolate Toffee and Blueberry Pomegranate. 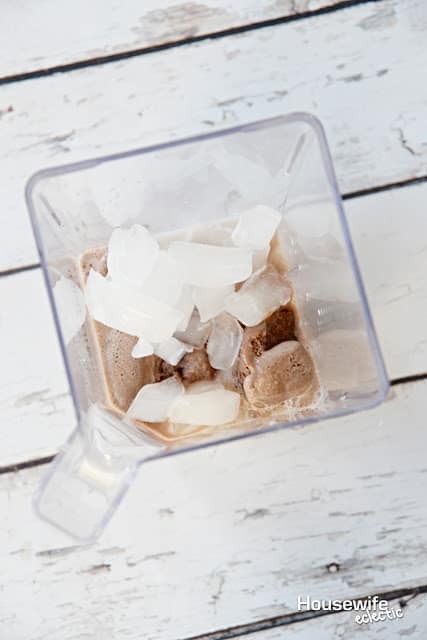 I think our next protein shake recipe is going to be a Pina Colada protein shake with that ProYo’s coconut ice cream! Are you a protein shake drinker? If not, why not? I definitely do not get enough protein in my life, so I’m super excited to try this. It sounds delish! I absolutely love shakes in the morning. I’m not a huge fan of peanut butter so this would be a great one for my son who could sutain himself on peanut butter alone! He loves the shakes I make and it would be a great option for him to try. Thanks for sharing this one! I’ll give it a go! I am definitely looking for tasty ways to get more protein in my diet. I’m exercising quite a bit more and I need something like this. It looks delicious! I can’t wait to try it. That is a shake I could get into! I will have to look for the ingredients when I go shopping! That looks great. Sounds tasty! I only see one problem here. That ice cream would never make it into the shake, it wouldn’t get past me LOL. Anything chocolate is something all kids love. This is definitely a shake all kids would love to have. Apart from the taste, it is giving protein power which is icing on the cake. I must try this! I drink protein shakes a lot. I’ll admit that companies have come a long way with making protein powders taste better. However, I’m gonna be all over this! I love the idea of a milk shake loaded with protein, as opposed to a fruity protein shake. I used to hate drinking stuff like this. However, I have begun making things that taste better for my kids because they need those dreary school day pick ups too. This looks like a delicious idea! I’ve heard really good things about ProYo! Your smoothie looks great, but I’m afraid I would just want to eat the ice cream! I tried ProYo not too long ago and I really enjoyed it. I have been meaning to pick it up at the store ever since. I have never heard of ProYo before but it looks like it is a great resource for busy moms like me who are constantly on the go and not taking great care of themselves. Thanks for the shake recipe! 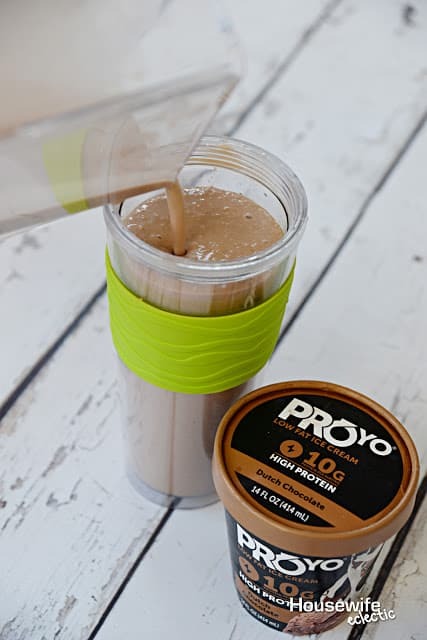 I’ve heard once ProYo from my friend and I think it’s pretty delicious and healthy as well. I’m going to try this for sure. 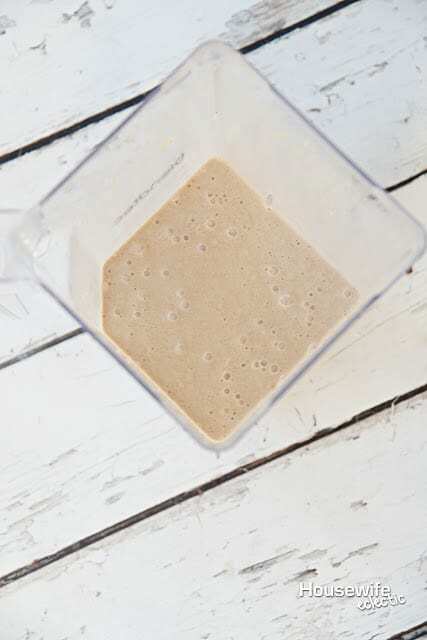 Your protein shake recipe is so yummy! 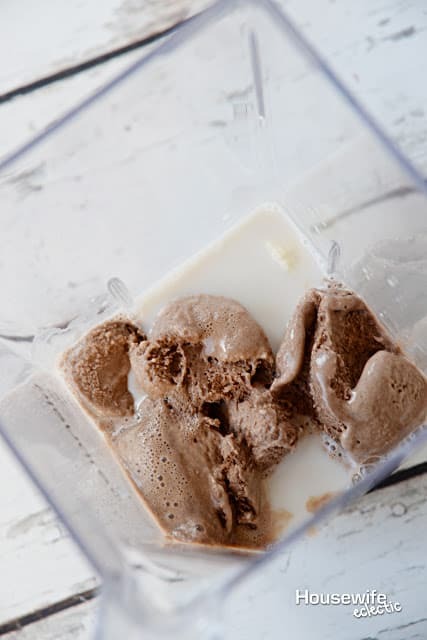 I can only imagine how good it would taste – peanut butter, dutch chocolate ice cream and almond milk! Wow. I have to make this soon! I’ve never tried this brand before it sounds amazing though! I like the fact that it’s so much better than your usual ice cream that’s packed with a lot of fat and sugar. I’d love to get me some of these especially to help us get through the summer heat! Ive heard about the ProYo ice cream! I am highly interested in the vanilla bean flavor. That sounds delicious! I wish my son does not have peanut allergy, this would be a great shake. I am not familiar with this brand but looks like good product. I all sounds so delicious. All I can say is yum! I so see this shake in my future. What an awesome way to get my chocolate fix. Looks like a delicious and quick shake! I haven’t seen that ice cream before – I will keep an eye out for it. I recently fell in love with Halo Top as they are lower calorie and have a bit of protein in them. They taste decent too!